We have a common goal: Making you a homeowner. Let’s make it happen! Ensuring you exceptional service at every step of your home-buying process. The current real estate market is tough on sellers but a great opportunity for buyers to get in or trade up while home prices and mortgage rates are incredibly low. We are your source for the latest tips, checklists and free reports. When you market your own home, you have to make the time to do all the jobs a real estate professional would do, and you’ll be competing against other sellers who have real estate professionals by their sides. How Do I Use This Site To My Best Advantage? The Kline Mann Realty Group website is your home base for buying or selling a home. To get started, please register by clicking the Client Login button in the main menu at the top of the page. Once you have registered, you can login to the site, which enables you to save a list of properties you’re interested in, and get new listing updates by email. Do I have a steady source of income, and am I making enough to qualify? You can use this calculator (NEED LINK) to find out. Do you plan to live in the area for an extended time? If you expect to stay put for more than two years, buying is almost certainly the better choice. It may even make sense to buy if you plan to move sooner than that; contact us to for a free evaluation of your options. 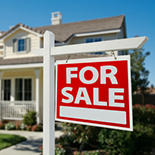 Do you need to sell an existing property to buy the new home? Kline Mann Realty can help with an evaluation of the current market conditions and guide you towards making a sound decision based on your set of circumstances. What about the other costs and benefits of home ownership vs. renting? While it is fairly easy to add up rental-related costs like rent and utilities, homeowners generally have additional costs in the form of structure and yard maintenance, property taxes and so on, but they also reap the benefits of a substantial tax deduction. We can help you explore these costs and benefits so that you can confidently make a fully-informed decision. Call Kline Mann Realty at (916) 768-9366 or email us to discuss any of these matters. We’re here to serve you! I'm Getting the Keys Soon! Any Moving Advice? Moving to a new home can be an exciting journey. Whether you’re changing cities or neighborhoods, a move is not only a change in scenery, it’s the start of a new chapter in life. Yet, moving can also be very stressful, often seeming like one thing after another has to be done. By finding the right moving service and having a good, though flexible, moving plan, most of the common moving headaches can be easily avoided. Deciding what to pack isn’t as simple as it sounds, particularly if you’re downsizing, but the amount of goods as well as the type of goods you’re moving can make a big difference in which mover you choose and how much you’ll spend. A good rule of thumb is to group items into no more than three categories – Keep, Donate, Throw Away. Label your things according to the rooms where they’ll be moved – bedroom #2, first floor powder bath by stairs, etc. Provide your movers with copies of the floorplan of your new home, so they can move more efficiently without having to stop and ask you where things go. According to Mayflower.com, one of the nation’s most recognized movers, finding a good moving service begins with asking someone you know – a family member, coworker or a friend about their moving experiences, good or bad. Who do you know who works with people who frequently move? Your real estate professional can also be an excellent source of information. And if you’re being transferred, ask your relocation agent which moving companies their company recommends. Other employees of your company who have preceded your relocation may also be able to suggest a reputable mover. Large industry organizations such as American Moving and Storage Association have associate members listed on their Web sites. These associate moving company members must agree to abide by the terms of the organization’s published tariffs and to participate in the Arbitration Program sponsored by the organization, which may be positive for consumers. Although the AMSA doesn’t recommend movers, a list of members is posted on the site, along with helpful hints. The AMSA does suggest getting several estimates in order to compare cost and range of services. Consumer organizations such as the Better Business Bureau can give you additional insights. If the company is registered through BBB, then you can find all relevant information from their corporate address, BBB rating, if there are any complaints against the company, the names of any and all management, and any specific licensing that your state may require. Of course one of the many places to start looking for your mover is the Internet. Online you can find and compare many moving companies’ services on their websites. When you compare price and service estimates from several moving companies, you will find that estimates are based on the weight of your household items, the distance they will be moved, and the amount of packing and other services you will require. Be sure to show the estimator every single item that will be moved. Find out if your mover accepts credit cards, third-party payments from your company, or whether the mover operates by cash only. Negotiations with your mover should include a clear understanding of rates and charges that will apply, the mover’s liability for your belongings, pick-up and delivery schedules, and claims protection. For example, if you decide to pack some of your own things, your mover will not be liable. If your estimate is binding, it will not cover non-itemized items. Non-binding estimates are not guaranteed rates, and only cover the weight of your shipment, and the cost of the moving services. An estimate still has to be performed before a mover will provide you with a binding contract. If you are moving interstate, you should read and understand all of the information you will receive. In addition to brochures explaining their various services, moving companies should give you a copy of a consumer booklet entitled “Your Rights and Responsibilities When You Move” and information regarding the mover’s participation in a Dispute Settlement Program. Distribution of the consumer booklet and the requirement that movers must offer shippers neutral arbitration as a means of settling disputes that may arise concerning loss or damage on household goods shipments are requirements of the Federal Highway Administration (FHWA). Even in the most well-planned moves, something can happen. Insurance is crucial. Check with your homeowner’s insurance carrier about coverage for your belongings while moving. Your mover will provide either released value insurance (about $0.60 per pound of goods lost or damaged, according to NAVL.com) or full replacement value, which you must sign for on your bill of lading. If you are not sure how to estimate the value of your belongings for insurance purposes, your insurance carrier may provide suggestions, such as $10,000 per room or half the value of the new home. Items of special value such as heirlooms, paintings, or collectibles can be insured under separate riders. In the event of damage to an item, file a claim immediately. Be sure to save the packing materials to show to the adjuster, should there be any problems.